Surfing the net for a blissful holiday experience? Came across Prague and thinking as to why visit it? It surely has interesting reasons to attract visitors. Exquisite culture, lively music, wonderful tourist attractions, and introduction to Gothic style architecture; Prague possesses power to infuse life into tired souls. Known as a "Walkable City", it has every tourist attraction located at a walking distance. Making it easier for the visitors to commute between their favorite spots, visiting demand for this city rises on the graph. How disquieting it becomes on experiencing commuting issues to visit a wonderful destination? Holidaying is meant to relax and not to get tired again. That's why; Prague is one of the most visited destinations of Europe. It is conceptualized on the basis of welcoming tourists for a leisure experience. Getting entertained without paying for it! Wondered? Prague offers numerous free events and rock performances, making it possible for visitors to make the most of their vacation. High spirits, best beer, night clubs, and wonderful music are the synonyms of exquisite nightlife. As dawn descends, the moon starts shining and inviting people to party all night. Entertainment never stops as the day holds your hand towards wonderful sightseeing explaining cultural background and the night embraces you with dancing tunes in the form of evening concerts, night clubs as well as seasonal events. 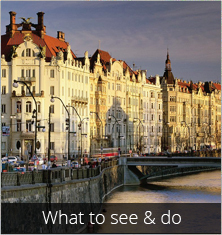 With so many options to visit, Prague will make you fall in love with its environs. Weather would cast its spell on visitors and draw them towards Prague in every season. The winds blow and change their attitude quite often in the city. Do you want it pleasant, not too hot and not too cold either? Spring is the ultimate season to check out Prague. Maintaining its vulnerability, temperature ranges from 0 degree in March to 14 degree in April. Bringing the gift of colors and exotic beauty of mother nature, Spring season is ideal for mystic lovers. Wish to experience the sunny days of Prague and pleasant nights? Summer is surely the season waiting to engulf you. Busy streets, slightly crowded tourist attractions, and ample opportunity to explore Prague at its best, this season brings the city to its lively being. The average temperature ranges from 20 to 27 degree and can go a little higher to 30 degrees. Have a feel to stay in Prague during unpredictable weather conditions with its Autumn season. Cloudy sky or colder days, city can change colors, attracting tourists to experience the changeable atmosphere. And if you want to see a white Prague; then, winter is right season. You will get introduced to chills with temperature dropping down to even less than minus 10 degree. Whichever weather, Prague is the destination to fall in love with. Prague will not let you escape without tasting its lip smacking delicacies and the wonderful wines. From clubs to pubs, cocktail bars, restro-bars, and fine dining restaurants, get ample opportunities to keep your spirits high. 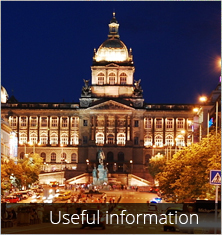 Welcoming tourists with exotic dishes, restaurants in Prague are known for striking ambience. Bellevue restaurant being the premier one in the list, offers scrumptious feast, with mesmerizing view of Charles Bridge and Prague Castle. Another one in the row is Kampa Park restaurant on the Kampa Island bringing to limelight, the variety of sea food and innovative meat dishes. Want to experience something different and contemporary? Do visit Francouzska restaurant with its early 20th chandeliers with gold plating, silver tableware, and contemporary architecture. Indeed, Coda Restaurant gives perfect combination of fine dining and a live piano concert to let you indulge in those sumptuous moments. Willing to taste exclusive steak dishes, Kobe steakhouse is the most happening place with beef, lamb and fish dishes. From restaurants, it is time to let loose your senses in Buddha Bar Restaurant with finest beer and cocktails. Even, V Zatisi Wine Restaurant gives you a chance to taste world’s finest wines and team them with delectable meats. Eating out in Prague can be a memorable moment with options to experience cultural hospitality. Put your dancing shoes, wear happening dresses, gear up the car and check out nightlife in Prague. Pubs to discotheques, concerts and music lounges, you will get it all. Keep the spirits high with boozing around in nightclubs and dancing to the tunes of latest chartbusters. With some foot tapping music in discotheques, you will be bound to dance and indulge in revitalization. Radost FX, Karlovy Lazne, Club Duplex, and even Lucerna Music Club are the discotheques to make you twist and turn. Willing to mix up dancing with some lip smacking food? Nebe cocktail and music bar can be the ultimate choice. U Buldoka is one of the finest pub and music bar in Prague to cater tastiest wines with hippest music. As famous for wines and beer, Prague is well known for strip clubs and red light area. Here, you will get to see a world that can blow your senses away. Getting naughty with drinks on is quite a common thing. If this is not your idea of exploring Prague at late evening; then, decent restro bars and dining areas can be the hot spot to check out lively nightlife of Prague. M1 Lounge Bar and Club, Starsky and Hutch Bar and Club, Chapeau Rouge Bar and Club will give you that exquisite experience.